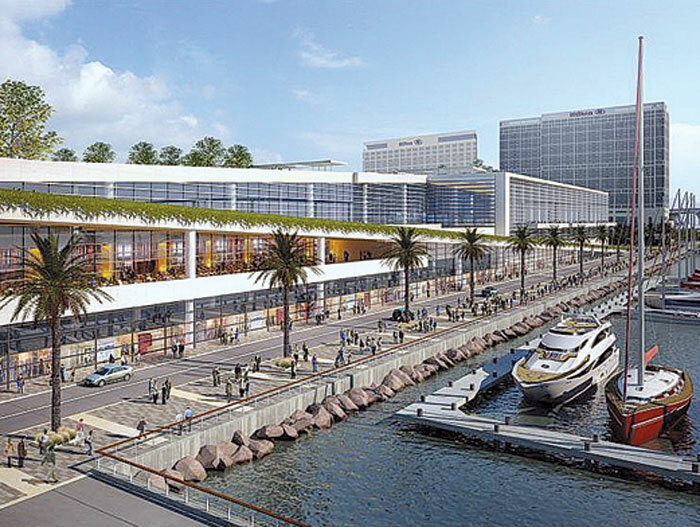 SAN DIEGO — The waterfront San Diego Convention Center, a 2.6 million square foot facility capable of hosting events as large as Comic-Con International, the Society for Neuroscience conference and the Republican National Convention, has been given the green light to become even larger. At the Oct. 10 California Coastal Commission meeting, commissioners approved the San Diego Unified Port District’s Port Master Plan Amendment for the expansion of the San Diego Convention Center. Granted funds of up to $520 million, the convention center will be expanded by an additional 225,000 square feet, giving it the largest amount of contiguous floor space on the West Coast, and prompting the addition of 25 major convention and trade shows annually, according to the port. Such expansion, the port added, would make the center capable of contracting to add new exhibitions and events generating the equivalent of what the convention center makes in one year, essentially doubling business. San Diego Interim Mayor Todd Gloria claimed that the expansion would also create 7,000 permanent jobs and generate an annual economic impact of $700 million for the city. It is also estimated to bring in 3,000 construction jobs and $13 million in hotel tax revenue. Upon completion, the “green” project will offer a total of 840,700 square feet of exhibit space, along with five-acres of rooftop park. Inspired by New York City’s High Line — an unused elevated freight rail line transformed into an open park, which brought 3.7 million visitors in 2012 — the San Diego Convention Center’s rooftop park will have seven access points, including elevators, stairs and a unique walkway serving as one of the building’s key architectural elements. Other additions will include the replacement of a parking lot that blocks the promenade with a walkway, rerouting of trucks and expansion of retail space. The port expects to realize $30 million in net revenue from the expansion, which it said will help fund protection of water quality in the bay, maintain 20 waterfront parks and provide public safety enforcement in the region.